Located in Knoxville, Tennessee, The Barnett Firm zealously represents clients with family law and civil litigation concerns. As your East Tennessee law firm, our attorneys are recognized for our aggressive advocacy. When domestic matters are at issue, we understand that you need a lawyer who will fight for your family’s welfare. This is why we strive to design the legal strategies that are most beneficial for your unique situation. As your legal allies, we employ our substantial trial experience and understanding of Tennessee’s family law codes to increase your leverage during your negotiations with opposing counsel. We pride ourselves on our personal engagement with each client. Throughout the legal process, you and your family will have access to legal professionals who are well-versed in the facts of your case. Other firms may seek to increase their revenue by taking on a large case load and passing new clients to paralegals who are unfamiliar with the client's legal issues. 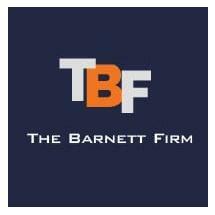 At The Barnett Firm, all of your concerns will be addressed and resolved by a seasoned counselor. Contact our attorneys today to learn how we can obtain the solution you seek.